The Indian Government is set to introduce a new 4 year B.Ed (Bachelor in Education) course next year, their main objective is to improve the quality of the teachings that will be provided to every student enrolled under the course. This was said by Human Resource Development Minister Prakash Javadekar. He also added that the B.Ed will be done in 3 streams. The curriculum for the new course was reworked by the National Council for Teacher Education a sector that is held responsible for coordinating the teacher education in the country. The course is set to save 1 year since all the students are allowed to join and enroll in it after their class 12. 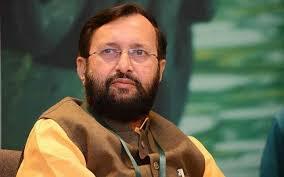 Minister Prakash Javadekar added that around 20 states will conduct and examination from classes 5 to 8 after they scrapped the no-detention policy, this will be done as a part of the Right to Education Act that happened in January. 25 states supported to scrap the clause. The amendment was passed in the parliament in the month of January in 2019.